I have always been fascinated by what drives peoples passions as they endeavor towards perfection. There is beauty in perfection. Or what we perceive as perfection. Wisdom. Enlightenment. Super-galactic, omnipresent oneness. For many, that pursuit is life long. Some would argue that by virtue of it’s existence, a thing is flawed and therefore, not perfect. I would tend to agree. But the journey to achieve perfection through one’s passion is what’s important. Be it a hobby, job or philanthropic endeavor, The Passion Project celebrates those that strive for perfection. My hope is that my passion for what I do, in some way, matches the passion of my subjects. With that, I give you the boys of Vera Pizzaria. I have always had a great love affair for the perfect cocktail. 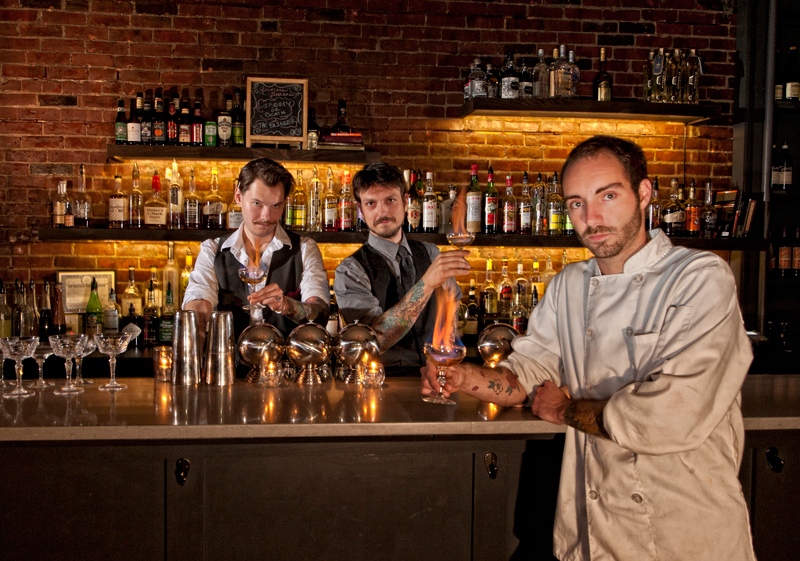 When owner, Cameron Rector, told me he was opening the kind of place that served prohibition era drinks, I was ecstatic. Upon my first visit, they didn’t disappoint. 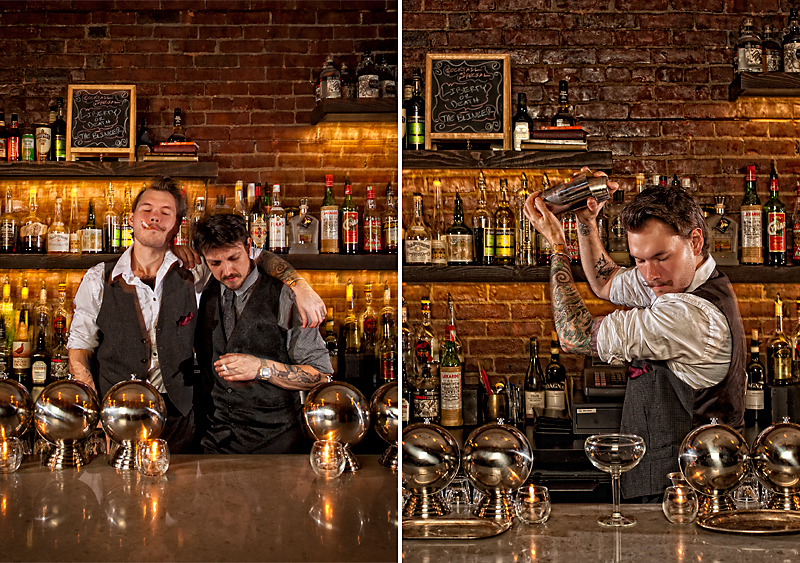 Jon Karel and Marshell Scheuttle are two of the finest bartenders in the city, and quite dapper, I might add. 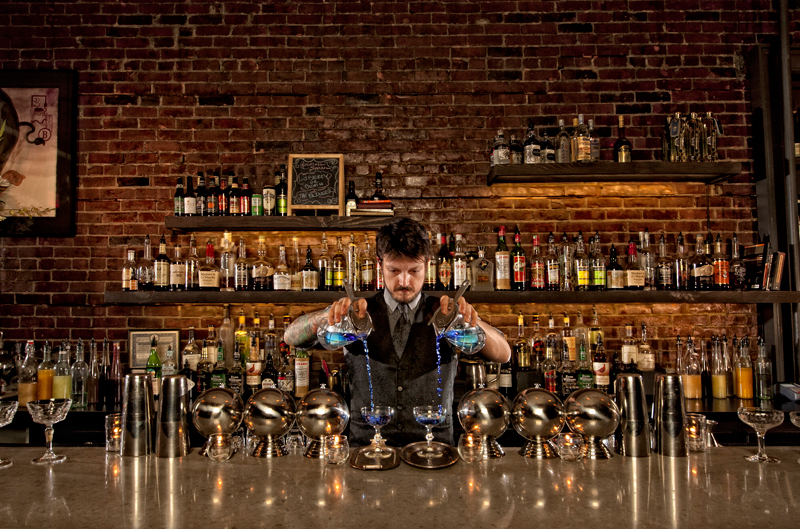 With each fantastic concoction, the gentleman will educate you on the history and myths that surround the cocktail. 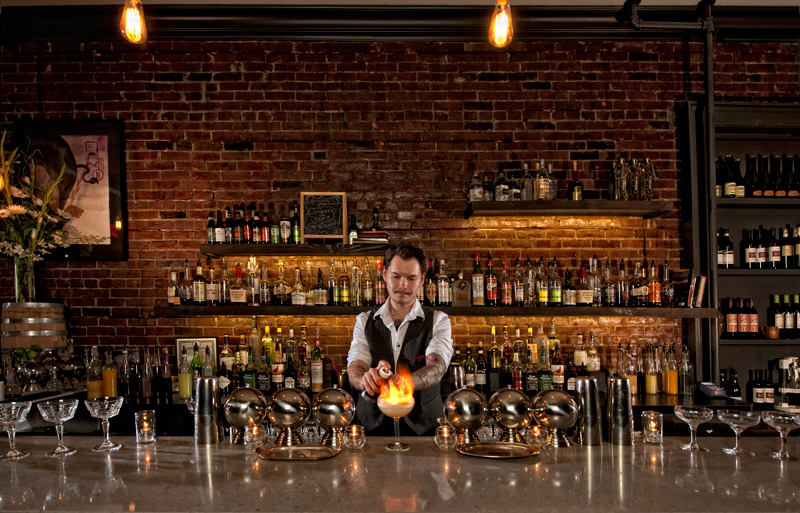 The drink menu is incredible, but if you’re feeling a little adventuresome, tell your bartender what your favorite liquor is and let him take it from there. This entry was posted in The Passion Project. Bookmark the permalink.